Rate this project Daniil Baturin has announced the availability of the first release candidate for VyOS 1.2.0, a Debian-based distribution for firewalls and routers launched in 2013 as a fork of the abandoned Vyatta distribution. The new version is still based on Debian 8 "Jessie" and is available for 64-bit systems only: "First VyOS 1.2.0 release candidate is available for download. 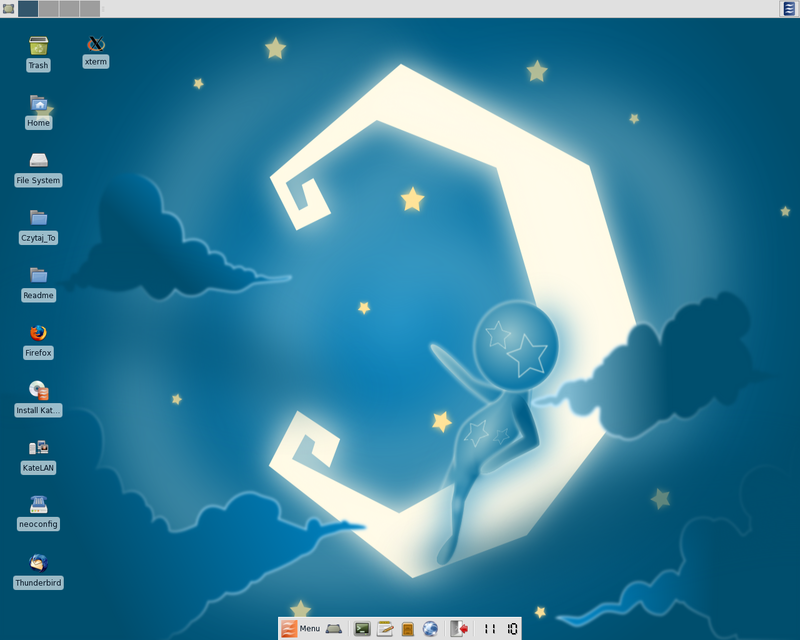 VyOS 1.2.0 'Crux' is the feature expansion release based on Debian 'Jessie'. The release candidate will be the basis for the future long-term support release. New features include: Wireguard support; PPPoE server; mDNS repeater and broadcast relay; support for IPv6 VRRP and unicast VRRP operation; NPTv6; standards-compliant QinQ ethertype option; Python APIs for accessing the running config and writing migration scripts (replacements of the Perl Vyatta::Config and XorpConfigParser); new XML-based command definitions; new build system that makes it easy to create custom builds with additional repositories and packages; SR-IOV support for Intel and Mellanox cards." See the release announcement and the release notes for more information. Interested testers can download the new release from here: vyos-1.2.0-rc1-amd64.iso (357MB, signature, pkglist). Daniil Baturin has announced the release of VyOS 1.1.8, an updated version of the Debian-based distribution for firewalls and routers born in 2013 from the ashes of the discontinued Vyatta project: "VyOS 1.1.8 is now available for download. It breaks the semantic versioning convention; while the version number implies a bug-fix-only release, it actually includes a number of new features. This is because 1.2.0 number is already assigned to the Jessie-based release that is still in beta, but not including those features that have been in the code base for a while and a few of them have already been in production for some users would feel quite wrong, especially considering the long delay between the releases. Overall it's pretty close in scope to the original 1.2.0 release plan before Debian Squeeze was EOLed and we had to switch the effort to getting rid of the legacy that was keeping us from moving to a newer base distribution." See the release announcement and the changelog for further information. Download (SHA1, pkglist): vyos-1.1.8-amd64.iso (230MB, signature), vyos-1.1.8-i586.iso (220MB, signature). VyOS is a community fork of Vyatta, a Debian-based distribution for firewalls and routers discontinued in 2013. The project's latest stable release is version 1.1.0, announced yesterday: "VyOS 1.1.0 is now available for download. Release highlights include: unmanaged L2TPv3; dummy interfaces (functionally identical to multiple loopbacks in IOS); 802.1ad QinQ; event handler that executes something when it finds a pattern in logs or command output; IGMP proxy (pulled from EdgeOS); commands conf mode filter that converts config output to set commands; strip-private filter that removes private information from the config for pasting and the like; ability to administratively disable PPPoE sessions; ability to specify required authentication protocol for remote access VPN; ability to reject OpenVPN clients for which no explicit configuration exists; configurable ARP filter settings; persistent tunnel (—persist-tun) option for OpenVPN; TWA hazards protection settings...." See the release announcement and release notes for more details. Download: vyos-1.1.0-amd64.iso (231MB, SHA1, pkglist).